Get FREE Quotes from Local Carpenters! Doors, Staircases, Furniture, Fascias and more! Need a job doing by a local carpenter or joiner? Want to know how much it's going to cost before they start the work? Get a totally free quote from joiners in your area. Simply fill out the form to get up to 3-5 quotes for any type of carpenter job around your home, office or place of work. Getting multiple quotes for your job can save you money and time, searching for the right tradesman for your job. Use the form to contact all the joiners in your area at once, provide relevant information and take your first step to get your job done. Although today many of buy furniture and flooring from local superstores for DIY assembly or construction, a time served joiner or carpenter can offer bespoke units and a huge range of flooring to suit your home and style. They can construct furniture and storage that is designed to fit the spaces in your home perfectly, build beautiful staircases and construct decking solutions that will transform your garden. Laminate flooring is probably right now the most popular type of flooring with those looking for a modern, cheap and easy to clean flooring solution. Made from synthetic material, yet looking like wooden or stone flooring. Laminate flooring is usually made from melamine resin with some natural recycled ingredients and other synthetic materials. Laminate flooring is much cheaper than wooden and stone flooring, plus is relatively easy to install for DIY enthusiasts (assuming you have a level floor and the correct tools and know-how!). The tiles or planks of the laminated flooring are clicked into each other like pieces of a puzzle and resists staining and fading well when compared to natural flooring. However, if you are not a DIY expert, if your floor is not level and/or the room is an irregular shape; it may be best to employ a local joiner to give advice on the best way forward. Carpenters can design and manufacture quality modern and traditional furniture to your individual specification and requirements. Skilled carpenters have the skills, resources and talent to make your vision a reality, using only the very best materials and construction methods. Many carpenters around the UK will offer a full range of furniture in traditional and contemporary designs, plus simple re-upholstery treatment. But the design and build of free standing pieces or quality built-in cabinetry and joinery is their main offering. Whatever bedroom you're dreaming of, there are numerous joinery firms to choose from in every area of the UK. A time served professional joiner can assist you with measuring and planning your fitted bedroom with a full professional planning and design service, can build or source wardrobe frames, doors, drawers and cornices; can build bridging units to colour match to your bedroom and bridge the gap between wardrobes. Rather than buying off the shelf bedroom units than arranging them to fit your bedroom and spending a frustrating day trying to assembly instructions that appear to have been written in a foreign language, a carpenter can build unique furniture designed to fit your bedroom perfectly, with no hassle or drama, just a perfect job carried out to the highest standard. Real wood flooring can add a rich depth and visual appeal to any environment, whether your kitchen, living room, or a commercial venue. Today there are wide variety of wood flooring on sale to match any room, unfortunately, although it looks and feels great, solid timber flooring is much harder to fit than laminate flooring. I addition it is a lot more expensive, so any mistakes made can really hurt your pockets! 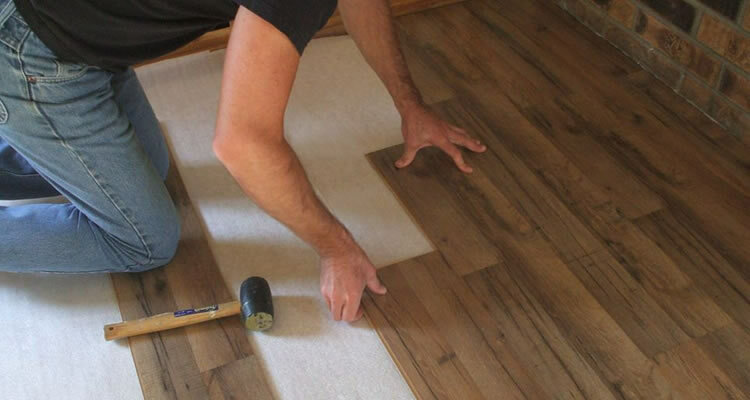 For there reasons, most people will hire a local joiner or carpenter to help them with their timber floors. Carpenters can create stunning wooden staircases that can transform the look of a property, in addition to providing you with a beautiful, unique wooden staircase, most companies will offer free, no obligation quotes and advice, so you have nothing to lose by contacting a local joiner or carpentry firm. 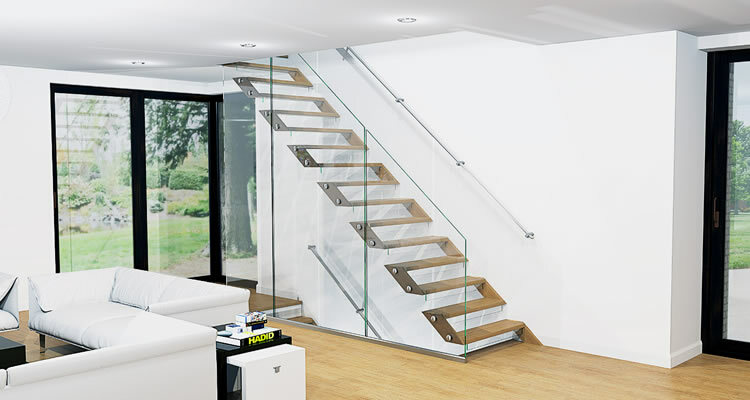 Durable, hard wearing staircases don't have to cost the earth, even staircases of the very highest quality can be designed to fit in with most budgets. The deck of a house is a wooden platform built above the ground and connected to the main building, sometimes covered by a canopy or pergola, but often left open. Decking is a great way to bridge the gap between the indoor and outdoor areas of your property. 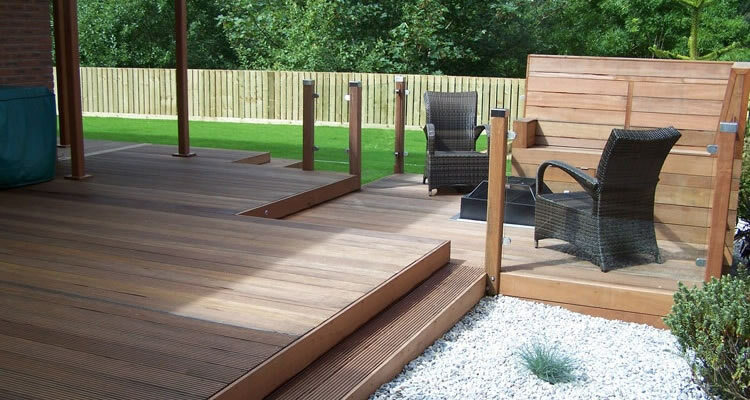 Garden decking is available in a variety of timber including English Oak, Yellow Balau, English Larch, Pressure Treated Softwood, English Western Red Cedar plus rich continental redwood deck boards. 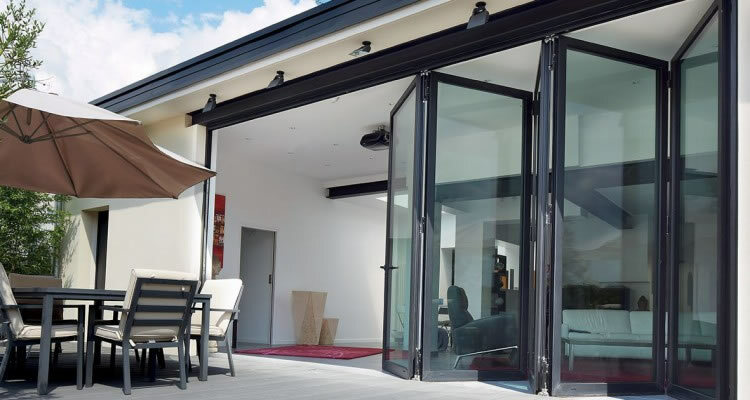 If you contract with a local company using professional joiners then allowing them to be in charge of production from the planning stage to the finished article, gives them complete product control and assures the quality of the finished product. A good looking, properly finished deck can add substantially to the value of your home, whereas an amateurish bodge job can detract from your homes appearance and value - for most people it is best to use a reputable firm with lots of relevant experience using time served joiners, rather than attempting the job themselves! "Very polite and professional. Clean and tidy. Excellent job. Will definitely use Ben in the future." "Good workmanship with attention to detail.Eager to please with my specific requirements.Kept me up to date stage by stage with plans and timescale.Excellent cleaning up everyday.Would definitely recommend.Father and son that work..."
"Very helpful. Great job. Would recommend." "Great guy, great job. Clean and tidy job. Very happy with everything and highly recommend him. Thanks A lot ." All aspects of joinery work considered and undertaken. No job is too small. Mainly specialise in kitchens, laminate flooring, skirting boards, decking and fencing. Will also consider and complete most handyman jobs. "Very satisfied with the job." "Job is ongoing because Eric is so good at what he does we have asked him to do more for us in the new year. Communication can be an issue at times but his standard of work overrides technical problems"
"Andy did a fabulous job of hanging our internal doors. He even fitted a handle on an extra door at no extra cost. I would highly recommend his work." RoseMay Carpentry and Building Services dealing in all aspects of general building maintenance covering in carpentry, plumbing and painting and decorating with work done to a very high standard. "Very efficient, reliable, helpful and very pleasant to have working around the house ; will call on him again when needed." "Lovely man really friendly, would use him again and recommend him to friends and family."